When do hot flashes start? Are they the first symptom of menopause? Are they supposed to be this HOT? Severe menopausal hot flashes are your body crying out for help. Find out exactly what it’s asking for in this short video. What we call Hot Flashes can vary from a mild warm flush with almost no sweating to something where you feel like your blood is boiling and sweat is dripping down your face and soaking your clothes. Are these both normal? I don't think so. From a holistic, Chinese Medicine perspective you body was designed to go through menopause with just mild warm flushes, and a sever hot flash is your body crying out for help. It's a sign that your hormones are more out of balance than they need to be. And this is not great for your health. In the video I cover why this happens for some women, and what you can do to correct it. Hot flashes are a normal part of perimenopause and menopause - but have you ever wondered… When do hot flashes start? Are they the first symptoms of menopause? How long are they supposed to last? Are they supposed to be this HOT? Stick around to find out what’s normal when it comes to hot flashes - because that’s we’re covering in today’s video - so stick around. Hi! 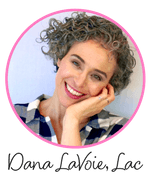 I’m, Dana LaVoie - an Acupuncturist & Herbalist, and founder of Menopause Basics - and for 15 years I've been helping women use natural remedies to balance hormones so they can have an easy menopause and feel great afterward. Today, we’re talking about hot flashes. So - are hot flashes normal? Yes, they’re a normal part of perimenopause and menopause. But let me ask you a question - how often do you think you should you be having hot flashes - and just how hot are they supposed to be? At the end of this video, I’m going to invite you to sign up for a FREE copy of my Menopausal Woman’s Roadmap so you can learn five easy-to-follow steps that will help to balance your hormones naturally for natural hot flash relief. I’ll give you more details later, but right now, let’s get started! As I've worked with women in menopause for about 15 years now, I've seen so many different types of hot flashes in my menopausal clients. Some women have what I call a mild warm flush. And it's just that - they feel warm but not hot. They glow but don't sweat. It’s over in just a few minutes - and they feel fine during it - they don't get anxious - they don't get heart palpitations and they don't get crazy brain fog or that “just not quite there” feeling while it's happening. And other women have hot flashes SO HOT that there are times when it's freezing outside and they’re out there dripping sweat in shorts and a tank top or they feel like someone set them on fire from the inside and their blood is boiling hot and no matter what they do the hot flashes just become more intense. So what’s the difference here? Which one is normal? Is it just a matter of genetics so that some women are going to have easy, mild hot flashes during menopause and some are going to suffer like crazy? Now, from the Chinese medicine perspective - your body was designed to go through menopause pretty easily with only mild warm flushes. What’s happening during menopause is that your hormone levels are changing. Ideally, they're going from high normal to low normal. And your body has a very sophisticated system of checks and balances built in to keep everything in balanced while those hormone levels change. Your body was designed to help your hormones change from premenopausal high hormone levels to postmenopausal lower normal hormone levels - slowly, evenly, and all at the same speed in harmony. If your hormones change in this way - you’ll only have mild symptoms. So why doesn’t every woman experience this? If everybody was designed to do this, why doesn’t every woman experience this? Well - a lot of the time severe hot flashes are caused by your estrogen-progesterone ratio being off - what the heck does that mean? It means one of your hormone levels drops really fast while another one stays high for longer. If they are both high or both low you tend to feel pretty good - but when one is high and one is low - that’s when a lot of severe symptoms can happen. The good news is that your body was designed to fix this - remember I said your body has a sophisticated built-in mechanism that keeps those hormone levels in balance? When that ratio goes off - your body immediately tries to correct it. But in some women - their body is unable to correct it efficiently or well enough to get it back into balance. And that is usually the situation for women who are having really severe symptoms during menopause. One, it needs more building blocks so it can make more of the hormones that are too low. Or two, it needs to be able to get rid of extra hormones more easily, so that it can bring down the levels of the hormones that are too high. So if your body has what it needs to do both of these things. The low one comes up -- the high one comes down-- they meet in the middle, balance is restored and symptoms subside. So how can you help your body do these two things better? #1 include lots of hormonal building blocks in your diet with the right superfoods & foods. Plenty of healthy fats and menopause superfoods like flax seeds - every day - are a great place to start. #2 help your body get rid of extra hormones more easily. Now the best way to do this is to make sure a big percentage of your diet is made up of fruits & vegetables - because getting enough servings every day of fruits & vegetables gives you lots of fiber and micronutrients that help your liver function better - and they are great ways to improve the efficiency of your bowel movements, and these two things combined really help your body get rid of extra hormones when necessary. To recap, your body was designed to lower your hormone levels slowly and evenly during menopause. If it’s able to do this - your hot flashes will be relatively mild. So if you’re having severe hot flashes your body needs help, it’s a cry for help. It's unable-your body is unable - to do what it was designed to do. So to help it, to help your body be able to bring those hormone levels back into balance more effectively and efficiently, you want to make sure you’re giving your body everything it needs to make more hormones when necessary and to get rid of extra hormones when needed. The best ways to do this are to include lots of healthy fats, fruit, veg, and menopause superfoods like fresh ground flax seeds in your diet every day. If you enjoyed this video, and want to get started - I invite you to click the link below to sign up for your free copy of my Menopausal Woman’s Roadmap. 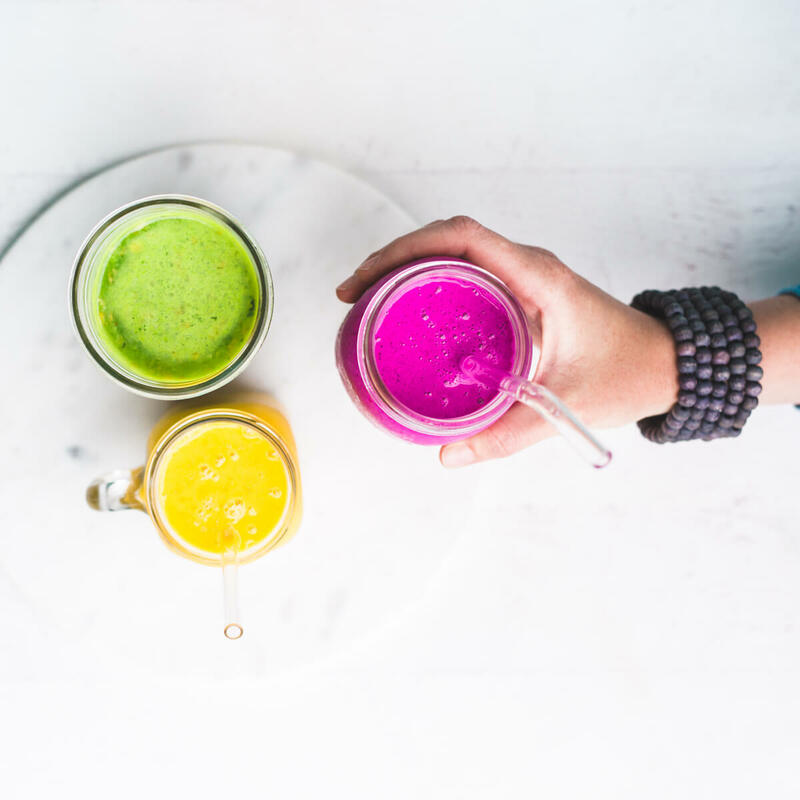 It’s a free download that will give you five easy to follow steps that will get you started eating all the right foods and superfoods to give you hormonal building blocks every day. So it will really help you to get relief from hot flashes and it’ll show you the three top mistakes women make during menopause and how to fix them. I’m also the host of a Facebook group called Menopause Basics - and all the best discussions about these videos happen there. I’ll leave a link in the comments below where you can join instantly. If you have any questions - pop them into the facebook group and tag me - or put them in the comments below. I’m Dana LaVoie - Acupuncturist, Herbalist, & founder of Menopause Basics - - thanks so much for watching - I’ll see you next time and please go ahead like and share this video with your friends.